New Delhi: The government is planning to have an Ayush hospital and a Yoga Wellness Centre in every district and has sought proposals from various state governments in this regard. 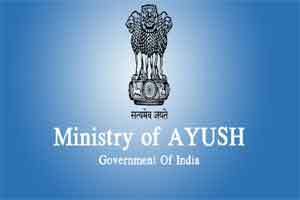 The government is also exploring the idea to have one Ayush doctor stationed at all primary health centres and sub centres, Minister of State for Ayush Shripad Naik said. “We have sought proposal from various state governments and some of them have replied showing their interest in it. Apart from that we are also working to have one Yoga Wellness Centre in every district,” Naik told reporters on the sidelines of an event of Hamdard Laboratories. The ministry has got proposal from 14 states, he said. Besides, the government would soon inaugurate All India Institute of Ayurveda in Delhi in next 2-3 months. It would be at par with AIIMS, Naik added. “Land for two other proposed Ayush centres – All India Institute for Unani and All India Institute for Homoeopathy – have been alloted,” he said. The government has got land for the Unani centre in Ghaziabad and Narela for the Homoeopathy centre. It will be sheer wastage of resources.